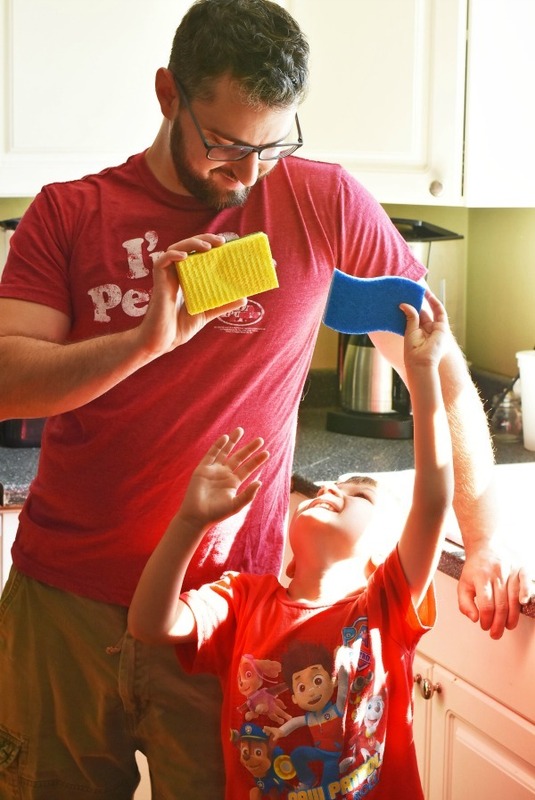 Scotch-Brite Sponges - The Right Way To Use Them in the Kitchen! 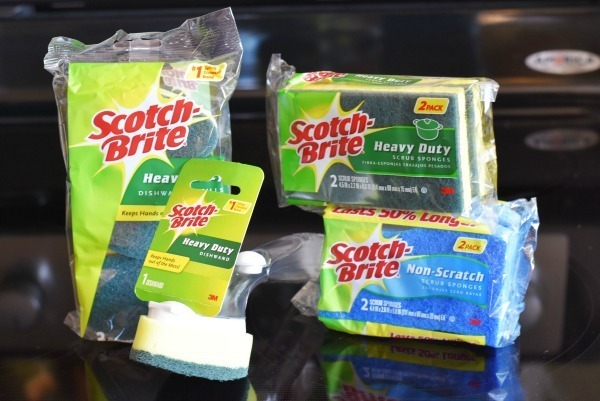 Scotch-Brite Sponges – The Right Way To Use Them in the Kitchen! Whenever I tell my friends and family that I love to clean, they always look at me like I have ten heads! There is something so refreshing and therapeutic when it comes to scrubbing things until they are sparkling clean. Besides the bathroom, I love to make sure my kitchen is sparkling clean. I even have a set of sponges for each type of job I tackle in the kitchen. Did you know that there are tons of sponge worthy messes to tackle in the kitchen besides just dishes? Yes, that is right! 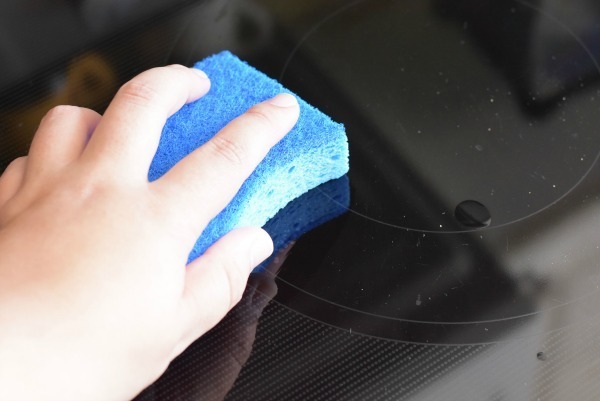 You can clean anything from grimy walls, to greasy stove tops with a sponge. In fact, the folks at Scotch-Brite® make a variety of different sponge products to tackle each mess. Scotch-Brite makes the best kitchen sponges in my opinion. A sponge needs to be capable of both gentle wiping and tough scrubbing jobs. 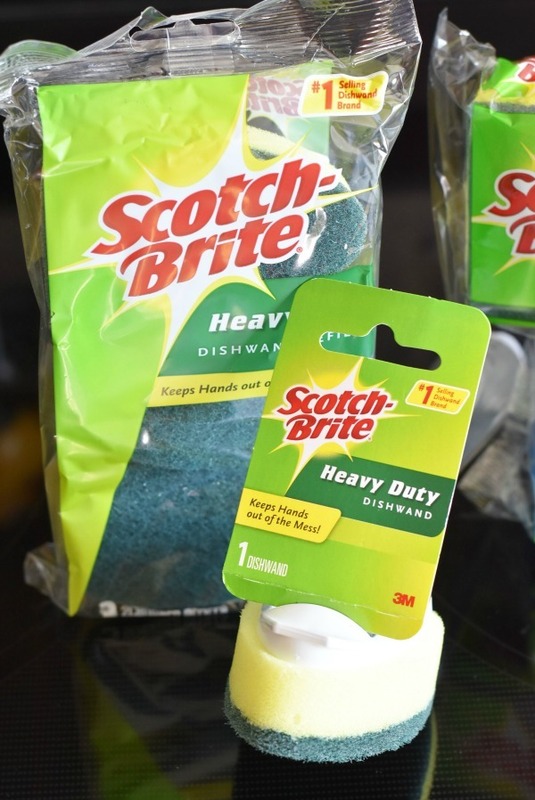 Scotch-Brite sponges provide that versatility in a strong, long-lasting product! From the Scotch-Brite® Heavy Duty Scrub Sponge to the Scotch-Brite® Non-Scratch Scrub Sponge; they make a sponge for the job. 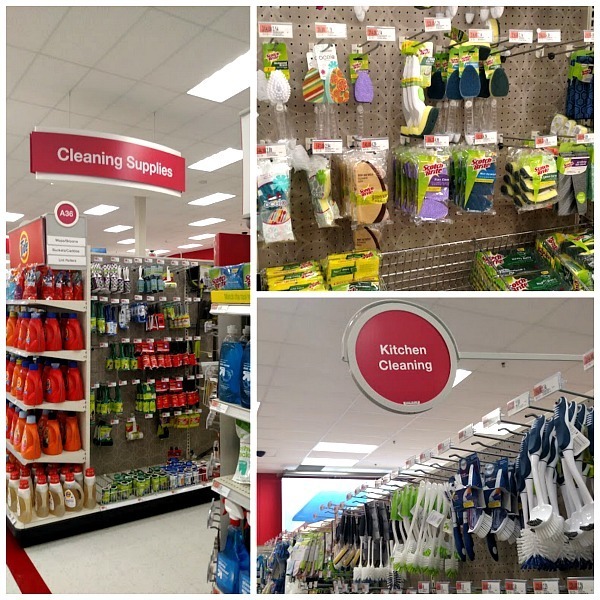 We recently went to Target (no big surprise) to pick up some beauty products, back to school supplies, and some sponges – yeah, all the essentials! 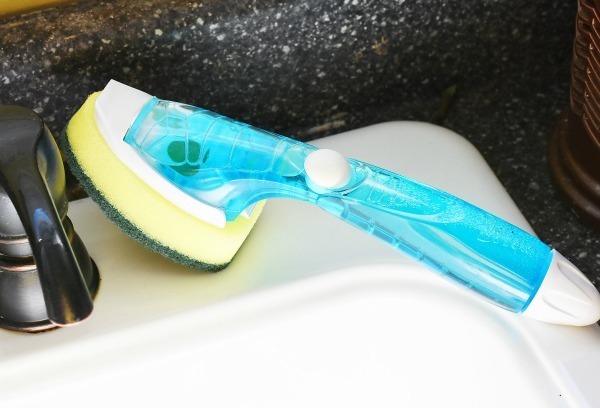 How Long Can You Use a Sponge Before Replacing? I like to replace my sponges about once a month depending on how much I use each one. My kitchen sponges see a lot of high-traffic areas so it makes sense to replace them rather frequently. Thankfully, Scotch-Brite makes the Right Tools for Every Surface! Since many of you probably had no idea the coloring of Scotch-Brite Sponges determines their uses, I will help to clear things up! The GREEN scrub pad on a Scotch-Brite sponge is the “Heavy Duty Scrub Sponge”. It’s designed to clean tough messes 50% faster. The Heavy Duty Scrub Sponge will remove tough, baked on messes 50% faster than competitive sponges. I like using this one in my kitchen for pots & pans, and even for my outdoor grill. The BLUE scrub pad on a Scotch-Brite sponge is the “Non-Scratch Scrub Sponge”. It’s designed for scrubbing sensitive surfaces that the heavy duty pad could scratch. 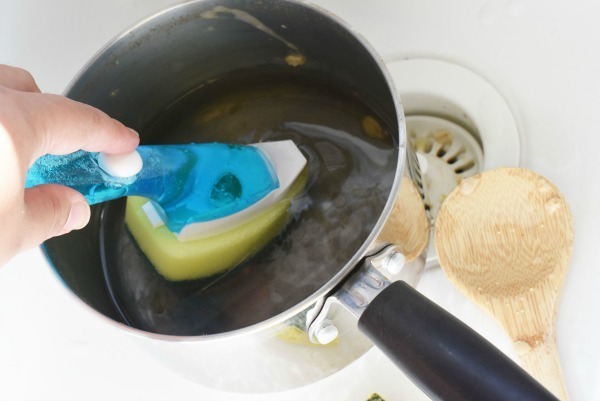 These sponges can safely clean non-stick cookware, glass stove tops, and tile. I love having both on hand to tackle the variety of messes my family creates. 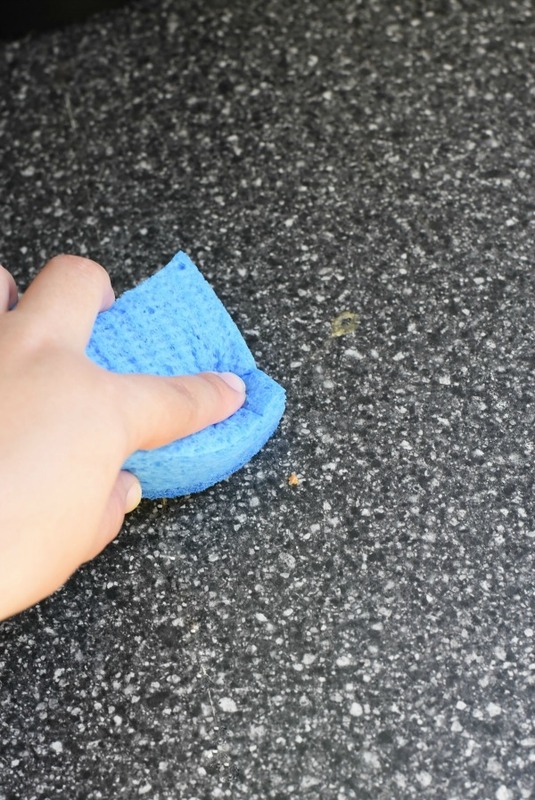 For counter tops, you are going to want to use the blue Scotch-Brite® Non-Scratch Scrub Sponge. I like to use the soft yellow side to wipe up messes, and the blue non-scratch pad if there is any stuck-on grime. We like to start out days off with oatmeal most mornings. If you have ever made stove top oatmeal you know just how tough a stuck-on oatmeal pot can get the longer it sits. I use the green Scotch-Brite® Heavy Duty Scrub Sponge to tackle the stuck on oats. Of course there are other ways to prepare oatmeal, like these delicious Three Ingredient Oatmeal Banana Muffins! You can also use the Scotch-Brite® Heavy Duty Soap Dispensing Dishwand to easily clean dishes and the inside of deep glasses and travel mugs – like the glasses we for our PB2 Almond Powder Smoothie with Raspberry Banana! Ever since we switched to an electric range, I have been obsessed with keeping it clean. The blue Scotch-Brite Non-Scratch Scrub Sponge works well to mop up messes and gently buff them away. I love using it in conjunction with a little mild dish detergent. There is nothing worse than a food that self destructs in the microwave and leaves a disastrous mess! 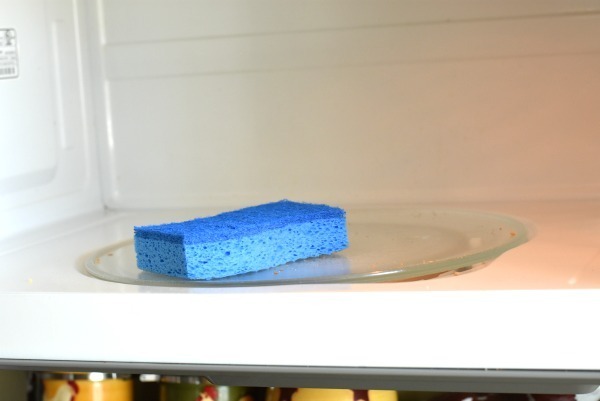 I use the blue Scotch-Brite Non-Scratch Scrub Sponge to get the glass and microwave interior clean. Having a porcelain sink can be quite the challenge sometimes. Similar to teeth, it can get easily stained with coffees, sauces, and juices. I use a little bleach cleaner and the Scotch-Brite® Heavy Duty Scrub Sponge, or Scotch-Brite® Heavy Duty Soap Dispensing Dishwand to remove tough stains and keep my sink white and sparkling. Since our Dishwand gets a lot of use, I always like to have some Heavy Duty Dishwand Refills on hand. I love these cleaning products. They always work out great for me! Messes can always get cleaned up with these. We are a Scotch Brite family all the way. I have tried other brands and they just don’t last like the Scotch Brite products do. We definitely create our fair share of sponge worthy messes around here. 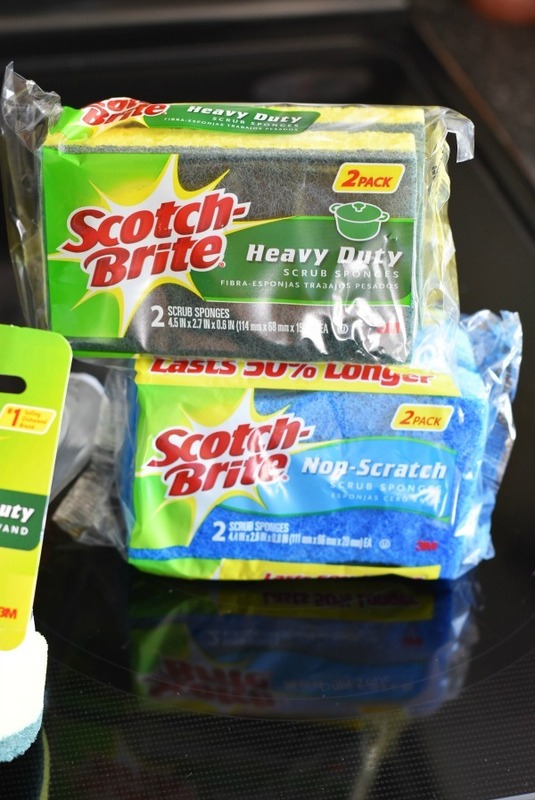 I keep a supply of Scotch-Brite on hand and love their Stay Clean scrubbers most. I use Scotch-Brite sponges in my kitchen as well. They work so well to clean up the messes left behind. I use Scotch-Brite all the time! The work the best hands down! I use them for cleaning the kitchen and bathroom and all our dishes! I love Scotch-Brite products! The scrub sponge is my favorite thing to use when I’m washing dishes! I would be lost with out sponges in our kitchen!!! I need to pick up the one you use on your sink that would be handy in my kitchen. I have a jumbo pack of the blue sponges under my sink right now. We go through them so fast since we don’t have a dishwasher. 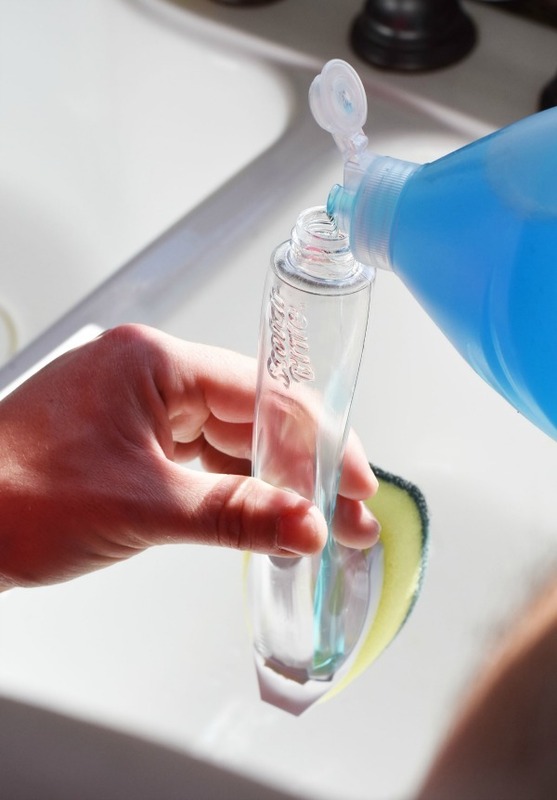 Doing dishes is not on my list of favorite chores but maybe having that dishwand would make it more enjoyable! I love that it has soap and will scrub at the same time so it does double duty! I feel like we have started using sponges a lot more in our kitchen. I don’t really know if that is true, but I find them super useful, and It’s always a lot easier to clean up a mess when I’ve got a sponge! This is my wife’s number one choice when it comes to sponge, and it’s really last. I think our sponge is now 2 months unlike other just 2 weeks. I have every single one of those products in my kitchen! The sponges get a VERY regular workout! I use my Scotch-Brite Heavy Duty Scrub Sponge to clean the whole house. I like to use one for my dishes. These are the only sponges that we use in my household! They are perfect for tackling any mess!